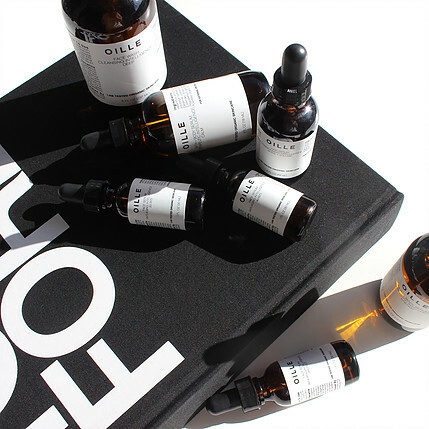 Luxe Clean Beauty at your Fing.. 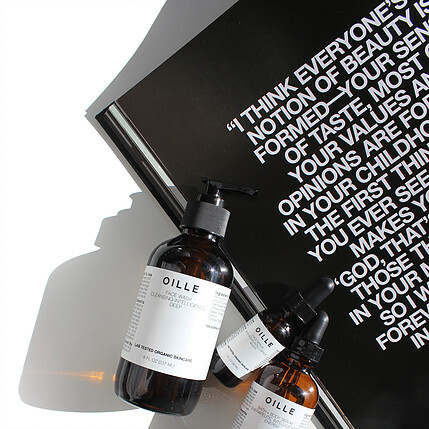 Describe your journey, how did you find yourself starting OILLE? 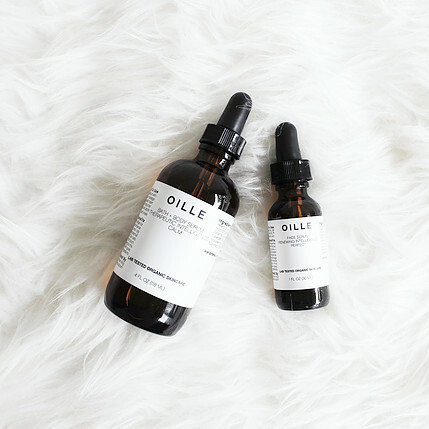 I started OILLE and became a Clinical Aromatherapist in 2012 when I was pregnant with my first daughter, Elise. While pregnant I came to the understanding that everything you put on your skin goes in your body. This was an eye-opener for me. I had flashbacks of middle school science class when I was taught skin is a protective layer and does not absorb like your body would when you eat food. I now know that is just not the case. Humans do absorb up to 70% of what you put on it and that includes all the nasty hidden chemicals beauty companies don’t want you to know about. I love that people are not afraid to ask questions and demand answers. As more and more people become aware between the connection of hidden chemicals and harmful side effects, more lives are being saved. But we still have a long way to go. Fragrance and fraudulent essential oils being the biggest culprit. I think about how I want the product to make someone feel, both physically and emotionally. With the Protect face serum featured in your July box, I named it having Renewing Intelligence because I wanted a person to feel as if they are calm, relaxed, and renewed to start again. With lavender, german chamomile, blue tansy, balsam copaiba, and ravintsara GC/MS tested essential oils you’re blanketed in tranquility with a sense of endless possibilities. Some of my favorite botanical oils include lightweight, linoleic-rich oils like rosehip seed and grape seed. They absorb quickly into the skin without leaving an oily residue like an oleic-rich oil of olive or coconut would. I then layer my formulations with GC/MS lab tested essential oils that have been scientifically proven in purity and therefore in performance. Since oil looks like oil there is no way of knowing if you’re buying a rock or a diamond unless it’s been tested. I love Protect. It’s perfect for after the beach when you’re hot and sun burned and all you want to do is relax. It helps balance energy, calm inflammation, and relax muscles. It’s like a martini in a bottle with a hypnotizing herbal, floral note that is indescribable. I’m as easy as they come. Simple, simple, simple. When washing my face, I use a mix of soap and oil. I find an oil-based product works wonders for taking off stubborn eye makeup especially mascara and it’s gentle enough to use around the eyes. For days when I want a squeaky clean, I use a mild soap without fragrance. Then top it off with either my anti-aging face serum or protect serum. I do also love a good brow. Since moving our family from Brooklyn to my hometown of Charleston last May, I’ve been on the hunt for a good threading salon. On a superficial level, the moment I wake up and my hair is long and wavy. Then I hear my kids screaming my name and it’s back in a ponytail it goes. My hair just gets in the way with nursing our newborn and carrying her around the house so I have to keep it in a permanent bun all day, everyday. As women we constantly have to sacrifice our bodies for raising a family. It’s hard work. But on a genuine level, I feel beautiful when my mind is calm and clear. Less is more. I tried to wear foundation recently for a photoshoot and I felt like a clown. When I get together with my girlfriends for drinks, no one ever compliments each other on their make-up. It’s always the person’s energy, their glow, their skin, and then maybe their shoes. People pick up on each other’s emotions first and if you’re happy then it shows instantly. Follow your gut. You are more intuitive than you think. Those little whispers in your ear are guiding you so listen to them. When I get a visceral reaction to new things, I constantly have to remind myself to take a deep breathe and really sit with my thoughts before I think them through. Just taking 5 mins before rushing into a decision will save you lots of time and money in the long run. Slow and steady wins. Yes! We are working on new exciting products that will launch in August. I have a feeling our new facial milk cleanser with watermelon seed oil, lemon, sea salt and vitamin e is going to be a juicy favorite. 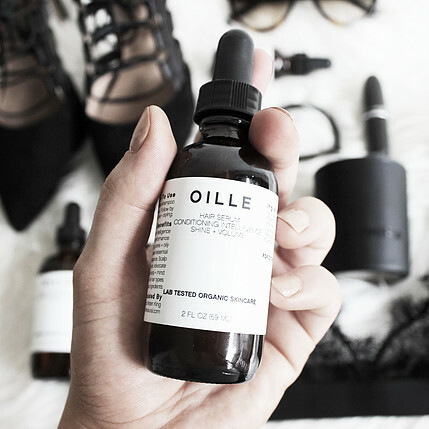 July’s Clean Beauty Box featured OILLE’s PROTECT Face Serum! Learn more about the product and our collaboration here!